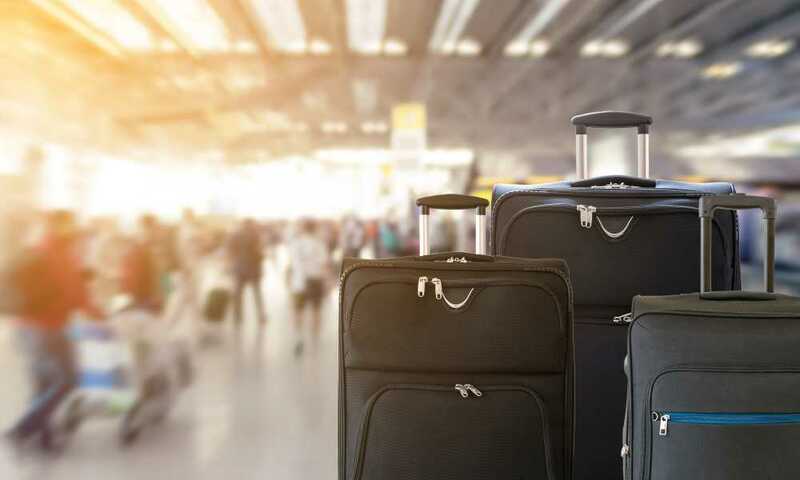 Whether you fly around the world weekly for business or travel a few states away once every few years to visit family, you know the importance of good luggage. Having good luggage is the difference between making your life easy and making it hard; it is the difference between having a smooth trip and having a trip full of frustration. Good luggage can help you move easier, lighter, and more quickly, and it can protect your precious belongings no matter where you go. When you’re looking at new luggage, the biggest choice you have to make is whether to buy pieces with two or four wheels. Two wheel luggage is meant to be more mobile, but four wheel luggage — called spinner luggage — is generally more heavy duty, easier to push and pull, and in many cases, higher quality. This article will guide you through buying the best spinner luggage on the market. You will thank yourself on your next big trip! There are a few things to consider when you’re buying spinner luggage. First, you need to think about what spinner luggage offers you that two-wheeled luggage does not. You want to be sure that this is what you’re after. Second, you need to decide how large you want your luggage to be. Spinner luggage offers four wheels instead of two. This means, in general, that the luggage is more stable. It is great for heavy bags for that reason. Having four wheels also means that pushing and pulling the luggage is quite easy (assuming the wheels are of a high quality). This not only makes traveling easier, but also reduces back and leg strain. These are great pieces for people who are prone to injuries, and they make great gifts for the elderly, who can even use the stable base of spinner luggage in the same way they might use a walker. With all luggage, size matters. 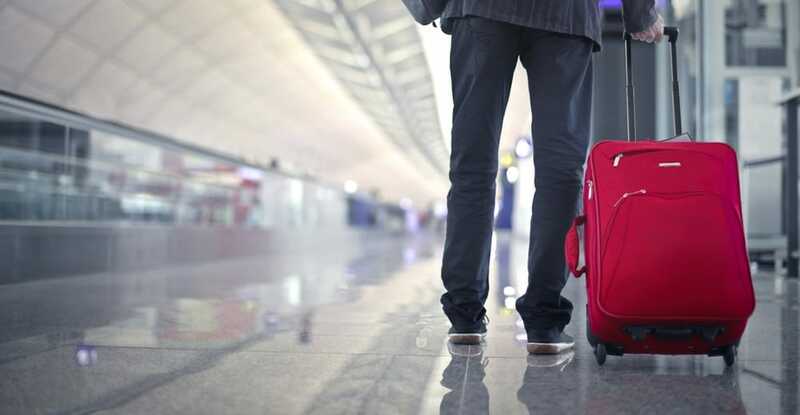 It is a question both of how much you have to put into the luggage — how much you have to pack — and how large you are allowed to have your luggage be. 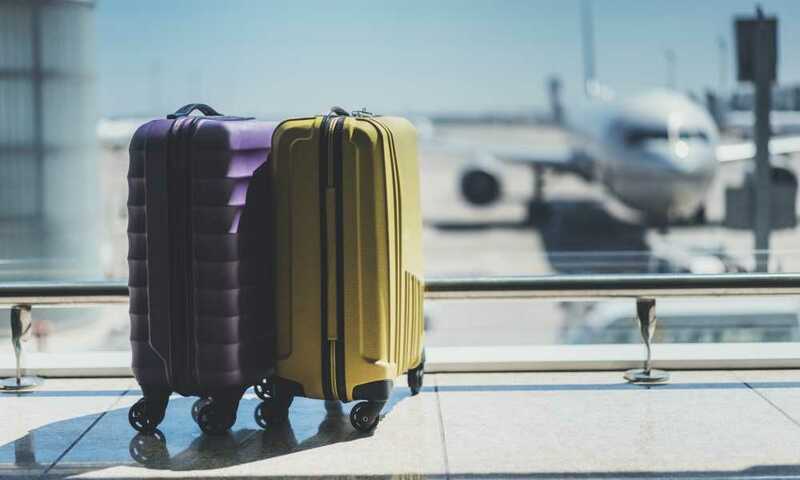 If you are flying on a commercial airline, there will be guidelines for both checked bags and carry ons, and you will need to consider these guidelines before purchasing a piece of luggage. Beyond that, it is really a matter of how much you need to pack. 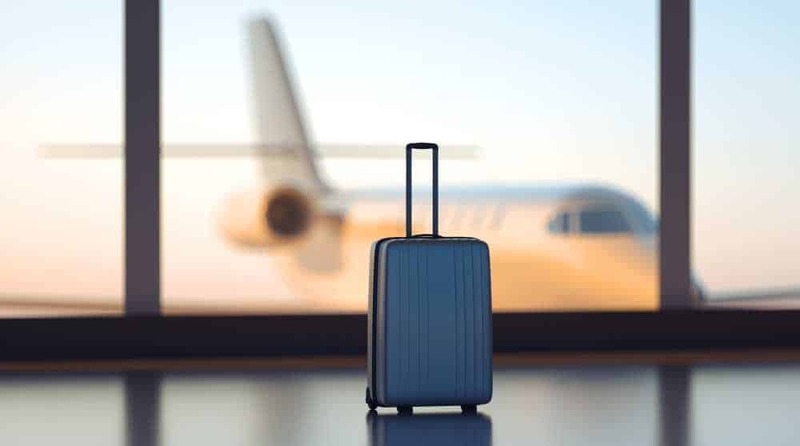 If you tend to travel light and usually spend only a day or two away from home, then you will need a smaller piece of luggage as compared to someone who takes more with them or who spends more time away. 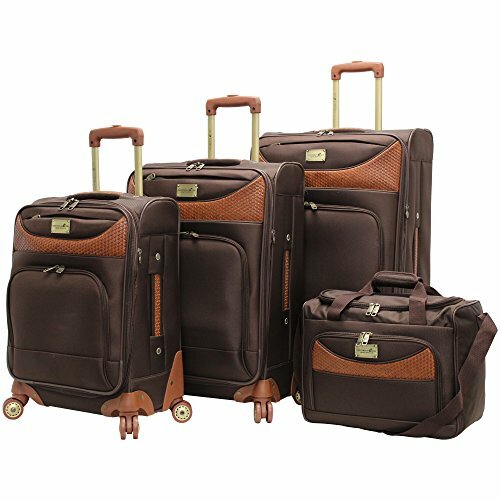 This Coolife 3 piece luggage set is a great set for commuters. It is durable, long lasting, and versatile. 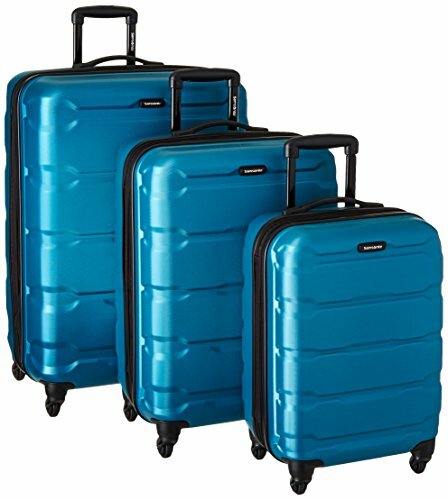 If you are looking for a 3 piece spinner luggage set, then this is one for you to look at closely. Many of us know the pains of traveling with inferior luggage that doesn’t keep your belongings safe. That is not a concern with this set — it is designed with the safety of your items in mind. This is also a set that is easy to maneuver. Designed to be lightweight, it is easy to move around and easy for almost anyone to travel with. Whether you are young or old, in great health or not, this is an ideal set for you. If you travel often, then this set will keep you happy for a long time; and even if you only travel sometimes, you will find that on those occasions when you are traveling your life is made easier by this luggage. That is the case with spinner luggage in general, and it is specifically the case with this Coollife 3 piece set. This set features a 20-inch piece, a 24=inch piece, and a 28-inch piece. The luggage itself is tough — built with a hardshell exterior that is both durable and lightweight. Four multidirectional spinner wheels on each piece means that this spinner luggage move smoothly, easily, and quietly. The handles are ergonomically designed and made of tough aluminum. They telescope for easy stowing and are sure to last you a long time. Inside the pieces themselves, there is plenty of room, and the addition of an interior mesh zip pocket makes it that much easier to organize your belongings. 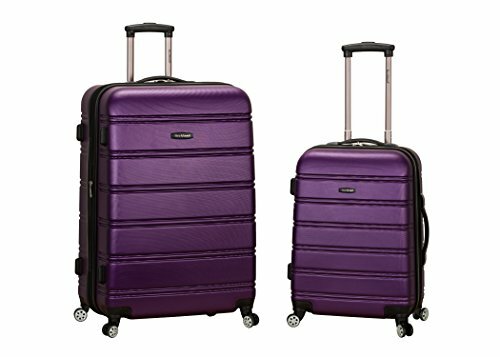 The Coolife 3 piece hardshell spinner set is a great place to start if you are looking for spinner luggage. It is tough, light, and easy to maneuver. If you already know that you want a hardshell set, then you may not have to look much further than this one. 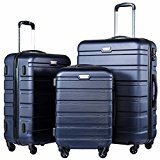 This 3-piece spinner luggage set by Merax is a great offering by a quality company. It has all of the things you look for in good spinner luggage — it is durable, strong, light, easy to maneuver, and it expands to hold even more of your belongings. Three pieces means you will have all of the storage room you need, even for long trips. Don’t waste your time or your money on inferior luggage. This set promises to keep your things safe and to give you an easy, smooth traveling experience. It is built to last, so it will keep on doing that for years to come, even if you travel often. If you are looking for a 3-piece spinner luggage set, then this is one that you should be sure to consider. In the hardshell luggage world, there are two kinds of material that you will find. One is ABS, a strong and light material that is rather inexpensive. The other is PC, which is even stronger than ABS and is more expensive to manufacture and buy. This luggage set is made of ABS, but it includes a PC color master batch which adds strength and stability. In a sense, it is the best of both worlds. This set has three pieces — a 20-inch piece, a 24-inch piece, and a 28 inch piece. All of them are made with the same ABS/PC Masterbatch construction, and all of them feature 4 spinner wheels for stability and ease of manipulation. The wheels are multidirectional and silent, and the newly upgraded handles on these pieces are made with metal handle clamps, which adds to their durability. These bags are expandable, meaning that they will expand to an even larger size in width when they are unzipped. This is great for packing in even more of your things without putting too much pressure on either the luggage or your belongings. 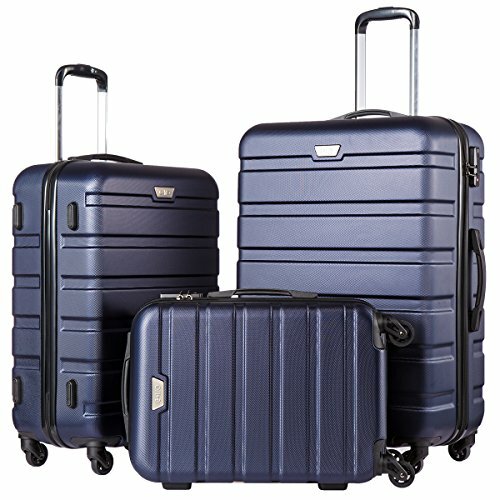 This Merax set is an ideal buy for anyone looking for a 3-piece spinner luggage set. It is tough and durable, lightweight, will last a long time, and the company seems to listen to feedback (they have implemented a new handle design in response to complaints). The build may not be pure PC, but these are strong bags that are designed to get the job done. This is a great set to consider. This offering by Samsonite is top of the line in every way. It comes from a great company with a proven track record, and it features the best in design and materials. 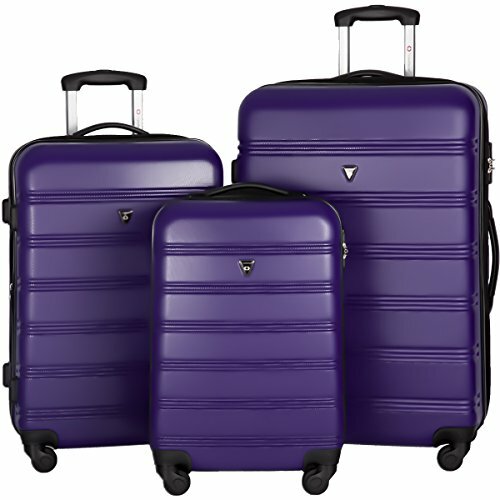 If you’re looking for a quality 3-piece spinner luggage set, then this may be the one for you. Too often, luggage is cheaply made and less durable than we need it. This Samsonite set is neither of those things. 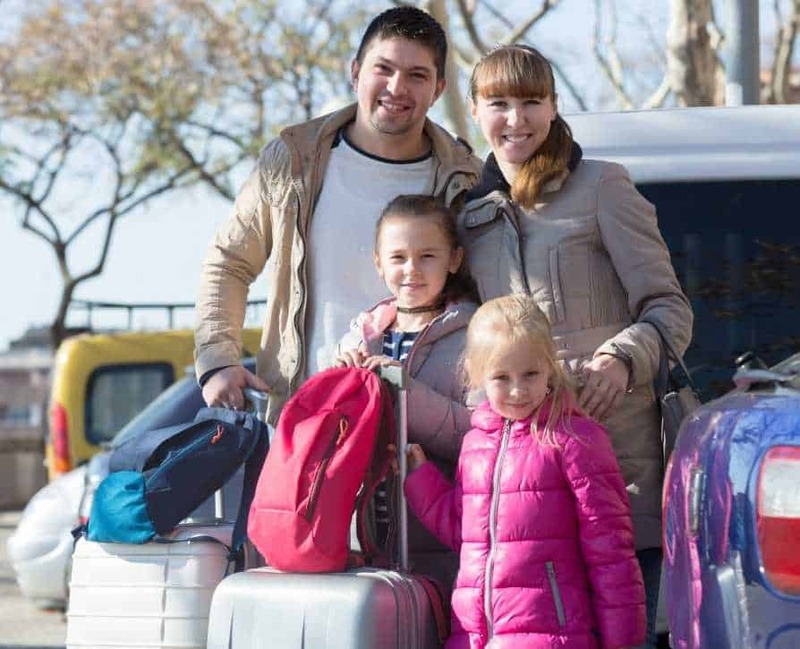 It is sure to last a long time, keep your belongings safe, and make your trip just a little smoother. If you commute often, then you owe it to yourself to pick up a quality set of spinner luggage. The first thing to mention about these bags, and the most notable thing about them, is their construction. They are 100 percent PC (polycarbonate), which means they are stronger and harder than lower-quality ABS bags. They will keep your things safe and sound. These imported bags are also scratch resistant — textured with a micro-diamond pattern to help keep your bags looking clean. These bags each have 4 lightweight spinner wheels, which have been re-engineered for maximum mobility and limited noise. The interior of these bags is fully zippable, dividable, and includes cross straps for added packing ease. Overall, this set of spinner luggage has all of the amenities you could ask for. If you’re looking for top of the line, then this is it. These bags will not only keep your things safer than many other bags, and they will not only last for years to come, but they will look good and feel good doing it. They are highly maneuverable, stable, attractive, scratch-resistant, and are in general among the highest quality bags available. There isn’t anything else you would expect from a company like Samsonite. It is nice to know that some companies live up to their reputations. Rockland is a big name in luggage, and they don’t disappoint with this offering. This is a 2-piece set, different in that way from the 3 piece sets we have so far reviewed, but it does not skimp on quality. If you are looking for a set of spinner luggage, but you don’t need a full 3 piece set, then this is a great place to start. Overall, it is an impressive set — durable, long lasting, expandable, easy to maneuver — and it is well suited to virtually all people who travel, whether it is once a year or once a week. Coming in many different colors, this Rockland set is also customizable, meaning that it will be sure to suit your tastes as well as your needs. This set is 100 percent ABS. This means that while it is not as strong as PC, it is still durable and lightweight. This imported set of luggage maneuvers quite well with its four skate wheels per bag. Fully lined and including two large front pockets, these bags make packing easier for you, which will save you both time and energy. Finally, these bags are expandable, meaning that they will expand width-wise to fit more things comfortably. This is a great feature for people who like to bring a lot of clothes. This is a great set if you are looking for two pieces. It lets you travel light, but still fit a great deal into your bags (owing to the expandability of the bags). It is tough and long lasting, and though it is not PC, it is sure to give you years of protection for your belongings. Overall, it is hard to go wrong with Rockland, and this set is no exception. 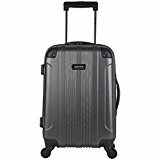 AmazonBasics offers a great solution for you if you are looking for a single piece of spinner luggage. This 28-inch piece is both attractive and functional, allowing you to pack a lot of volume into a single piece of luggage. AmazonBasics is one of those companies that consistently offers great values and consumer-minded products. This product is no different. It may not be the top-of-the-line offering you would get with a company like Samsonite, but for most people it will do the job just fine. 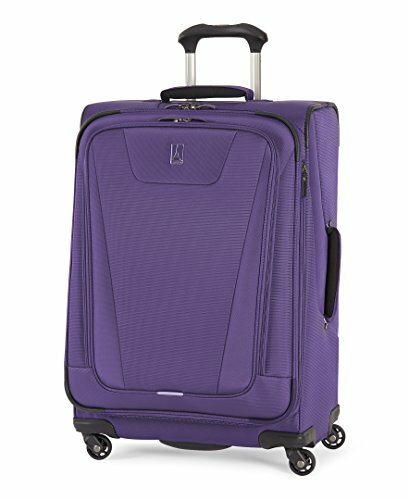 This large 28-inch spinner luggage features all of the basic amenities. It is made of scratch resistant, hardshell ABS (which AmazonBasics claims is thicker than the competitions’), so it is strong and durable and is sure to last a long time. It is fully lined and includes a divider, making packing that much easier. It also includes a polyester interior organizer for keeping your belongings organized as you pack — this is a great feature for a lot of people. The luggage is expandable for up to 15 percent more space, allowing you to pack even more, and more safely, into this already large piece. 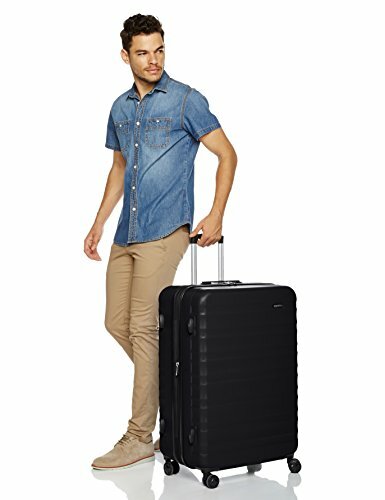 The luggage features four double spinner wheels, which makes it easy to maneuver in any direction. Overall, this is a great single luggage piece. It does everything you need a 28-inch piece of spinner luggage to do and then very little else. But that is the virtue of AmazonBasics — they know how to make products that do just what you need without including anything extraneous. If you need a single piece of spinner luggage, this is one to look at, for sure. In the end, which spinner luggage set is the best is up to what you need out of your luggage. If you are looking for a single piece, then the AmazonBasics luggage will serve you well. If you want something middle of the road, then we recommend the Coolife set. If, however, you want all of the bells and whistles — if you want the absolute best and the absolute strongest — then we recommend Samsonite. The Samsonite set reviewed here is truly top of the line. It will not only keep your things safer due to its PC construction, but it is sure to last for years to come. Plus, you get the Samsonite name and all of the customer service that goes along with buying from a company with their level of experience. While it is difficult to proclaim a single winner, it is clear that the Samsonite bags are simply of a higher quality than the rest. For that reason, the Samsonite set is the one that, in the end, we recommend. For frequent travelers a travel bag is a basic necessity and choosing the best one that will last a long time is the top priority. It must endure all the dragging, tossing, kicking, stacking, being sat on and the changing weather. 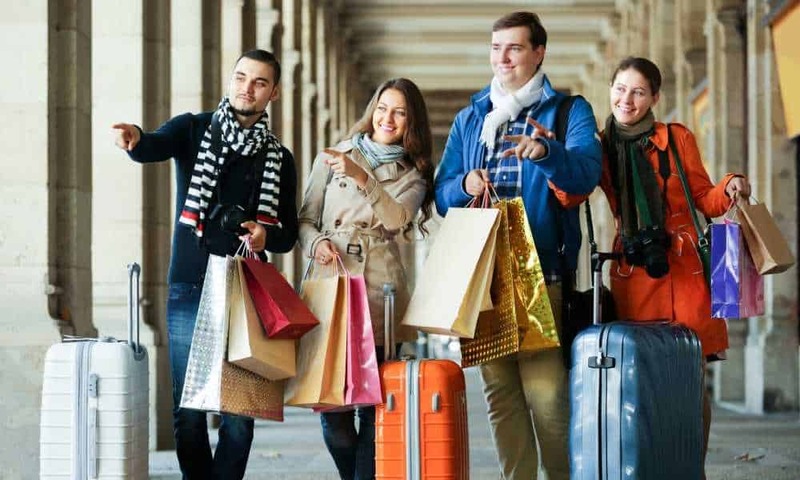 Having a sturdy and high-quality luggage doesn’t come cheap but it’s better to pay a high sum of money than suffer from the inconvenience later. Ask yourself a lot of questions while choosing a travel bag. Is the handle long enough? Does the suitcase feel sturdy and durable? Will the color and design fit my style? There are a lot of things to consider. So make sure to buy travel bag months before your trip. You’d want to test it out first and find faults beforehand so you can have it fixed or replaced. Traveling requires a trustworthy travel bag. Travelpro’s spinner bag may be one of the best you can get. The bag is roomy with 25 x 18 x 11 inches dimension and lightweight at 10.1 pounds. It made from 100% polyester, covered with a water-resistant coat that protects it from abrasion and stains. A bottom tray stabilizes and aligns then wheels for stability. Along with the 360-degree spinner that rolls effortlessly in any direction, this bag is easier to maneuver than others. The bag’s interior features a full-size lid compartment that allows different packing options. Travelpro has an in-house testing team that examines the luggage brands product with quality testing procedures. This attests the spinner bag’s quality giving the consumer the best product they can get. This travel bag is spacey (although it is fairly big for traveling, those who travel farther and longer might find this not big enough) and maximizes packing flexibility. The interior is strategically designed to be efficient, the lidded compartment, side mesh pockets, and adjustable hold down straps. It is surprisingly lightweight which makes it a practical (no extra fees!) choice especially if you have heavy things to bring with you. Pushing the luggage does not need much force because of the rubberized touch points that make pushing easier and more comfortable. The 4 spinner wheels are able to endure all surfaces and still roll smoothly without a problem. The patented contour grip and telescoping handles provide comfort that you never knew you needed. It’s just a shame that such good thing only has a limited lifetime warranty. Picking the right suitcase can determine whether you’ll have an amazing or bad trip. Travelling is tough on suitcases which why picking a good bag is important. Although it might cost a little too much than ordinary, it’s going to be a great investment and will save you from a headache later on. So what does good travel bags have in common? Four wheels? Hard luggage? Roomy and lightweight? Recent studies narrowed it down into two. The most important thing to consider when buying a suitcase is the durability and wheel-ability. So the next thing you plan to buy a new piece of luggage for your trip, take a mental note of these things. This spinner bag is made of 100% polycarbonate construction, a solid material that bounces back the impact thus preventing cracks and making the trolley very lightweight. It is 29 inches high and 12.5 inches wide with nylon lining and deep metallic finish. The bag is offered in hard side or polycarbonate-made (emerald green, brushed charcoal, titanium, and cobalt blue) and soft side or polyester-made (platinum and cobalt blue) to fit into all your travel needs. A roomy bag is essential thus this spinner trolley’s main compartment expands up to 2 inches, a great feature for packing souvenirs on return trips. The interior is fully lined with two sections, features an expandable middle zipper, and an integrated 3-dial TSA accepted combination lock. Maneuvering it is no problem with the double spinner wheels that keep no weight on the arm and comfortable handle system. For a convenient, secure, and comfortable packing, Delsa’s spinner bag offers such travel bag features. By using this travel bag, one doesn’t have to limit packing. You can make use of its maximum capacity with the additional space of the expandable main compartment. There are two options for you to choose, the hard side with a 2 compartment split opening, or the soft side, with the single compartment and zippered lid pockets. Both are fully lined and large enough for all your travel necessities. The double spinner wheels run smoothly and silently without putting the weight on your arm. Another amusing feature of this spinner trolley is the TSA-accepted lock which allows only TSA agent to inspect your luggage (although this is only available for the hard side) hence you feel secure. A 10-year warranty is offered worldwide limitedly. There are a lot of travel bags to use when going to trips, from backpacks, duffel bag, and the traditional luggage. It may be hard to bring a big suitcase when you’re only travelling for a day or two so most people opt for the duffel bag or the backpacks. For longer destinations that take over a few weeks, the traditional trolley bag is perfect. There are a lot of online stores like Amazon that sells travel bags of different sizes and styles, a great selection of different features. Other seller offers a suitcase set with different luggage and bag sizes. This one is the best option for those who travel often in different distances with varying days or weeks. No need to buy from different sellers. It’s not just one, not two, but four! Caribbean Joe’s spinner suitcase set consists of a tote, a carry-on, a medium and large bag. This 4-piece island inspired suitcase set and comes in two different colors (chocolate and olive) that complement even the most stylish travelers. The fabric is made from 100% weaved polyester material, sturdy and lightweight. 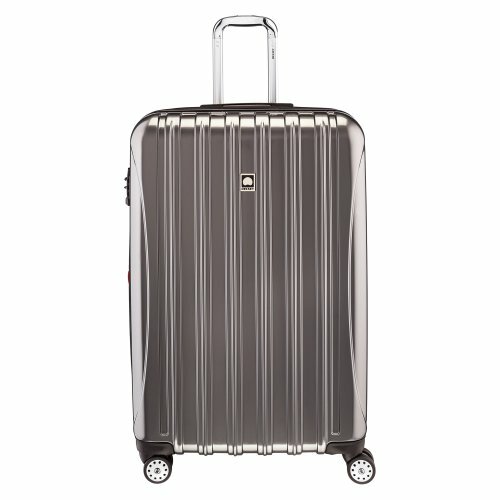 It features 360-degree spinner wheels that allow smooth maneuvering, a fully lined interior with pockets for an organized packing, an expandable 2 inches main compartment for extra luggage, and an upgraded telescopic push button handle system for a comfortable pushing, pulling, and holding. To further set your mind at ease, a 5-year warranty is included. The color and design are sophisticated and attractive, it has a very distinct color. The spinner wheels and handle worked excellently without any problems, it’s strong and flexible. The customer service is helpful and responded quickly to concerns; they sent replacements for damaged or missing goods faster than you can say you wanted it. Having four of them together is easier than one might think; you can stack the cases and pull it all together. The set looks expensive but is actually affordable, a must have travel buddy for everyone who loves trips.